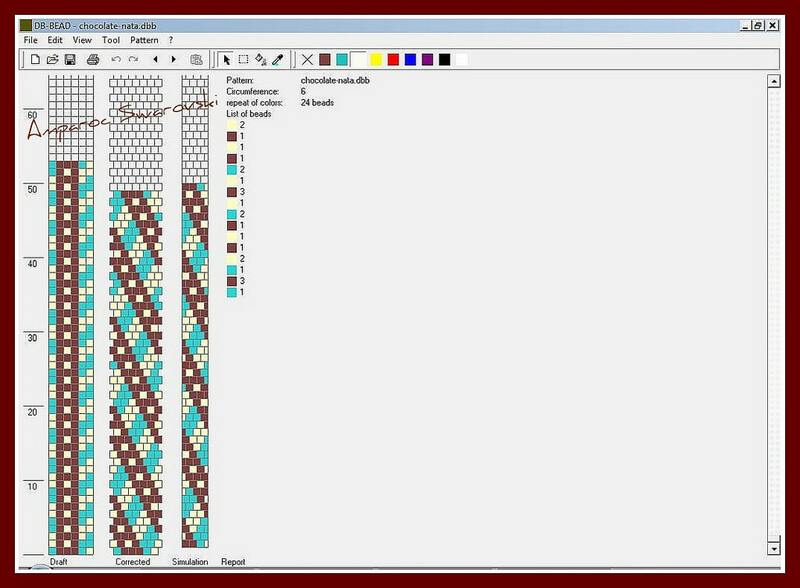 As promised, a glimpse at beginning bead crochet for starting your first bracelet project! In these photos I’m using a thin thread with size 10-ish seed beads, but I’d recommend doing your first project with the thicker thread seen in yesterday’s post, and size 6 (read as 6/0 or 6° [degree]) beads. 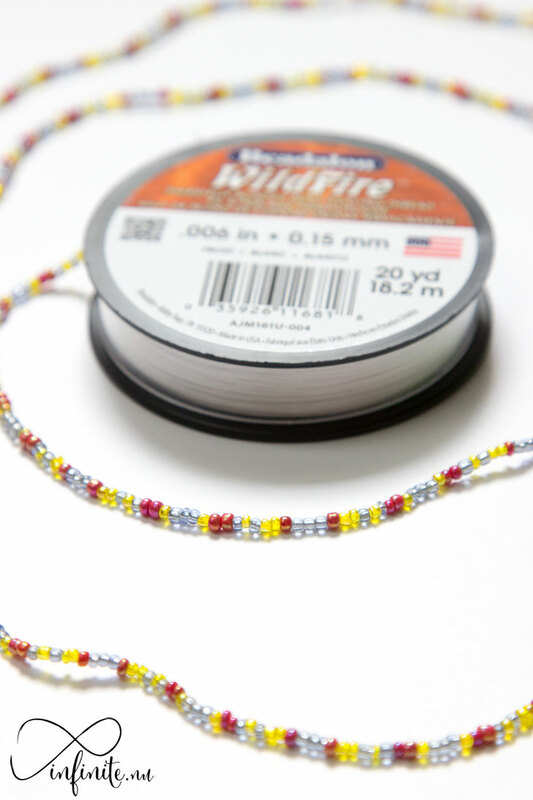 Before you can begin beading, you need to “pre-load” your beads onto your thread. 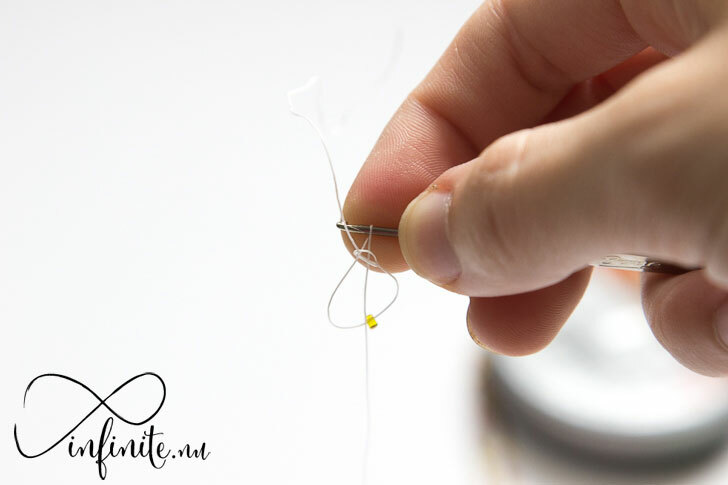 Begin by stringing your thread with enough beads to fill an entire length held between both hands, stretched out as far as possible! (That’s a lot of beads.) If you want to do a double spiral pattern, use three colors, alternating between each one. To create a slip knot, make a loop. The short, tail end should go underneath. 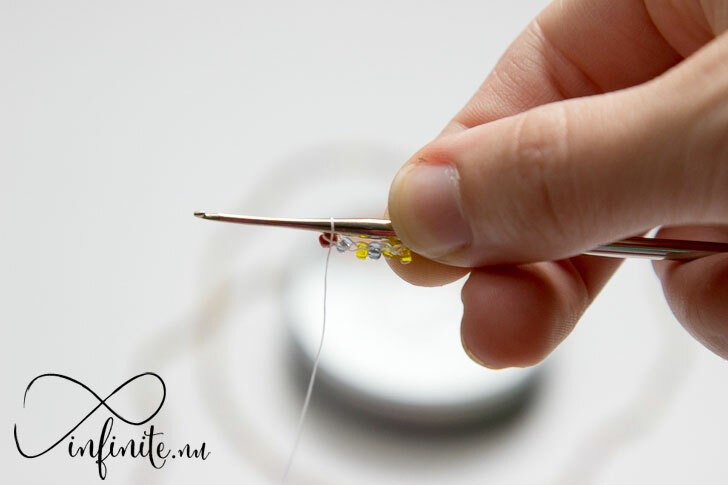 Once you have all your beads on the thread, push them up enough to have some extra room on the end. Use that to make a slip knot. Slip your hook down into the loop, grab the longer, attached end, and pull it back through the loop. 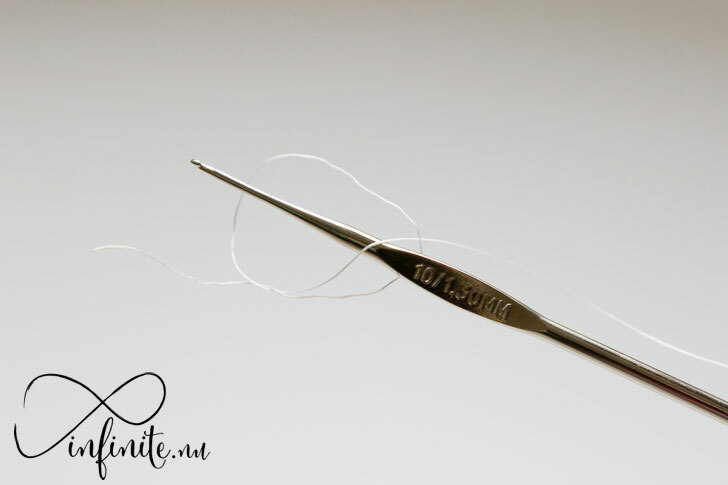 Slip your crochet hook into your slip knot, and now the hard work begins! Push one of your beads up against the hook. Next we’ll build our first row by pushing our first bead up against the hook. 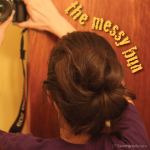 Hold the tail end out of the way, then wrap the working end from the back, over to the front, of the hook. In your right hand, hold the hook, tail end of the thread, and bead. 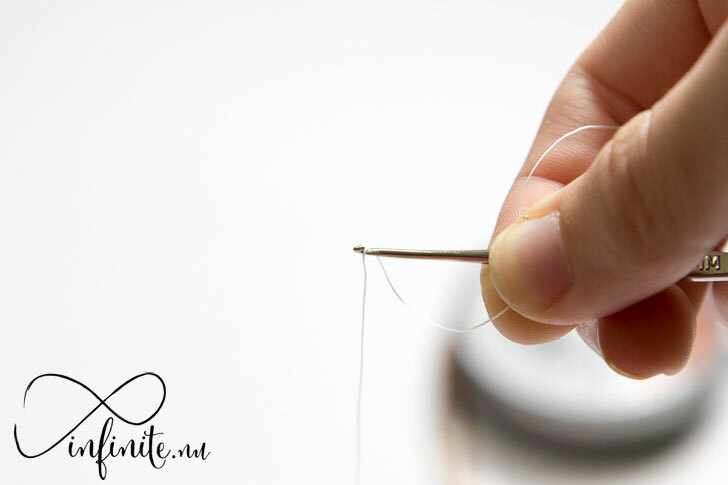 Using your left hand, wrap the longer, working end of the thread behind and over the hook. I keep some slack in the thread, and wrap the thread tightly around the hook. 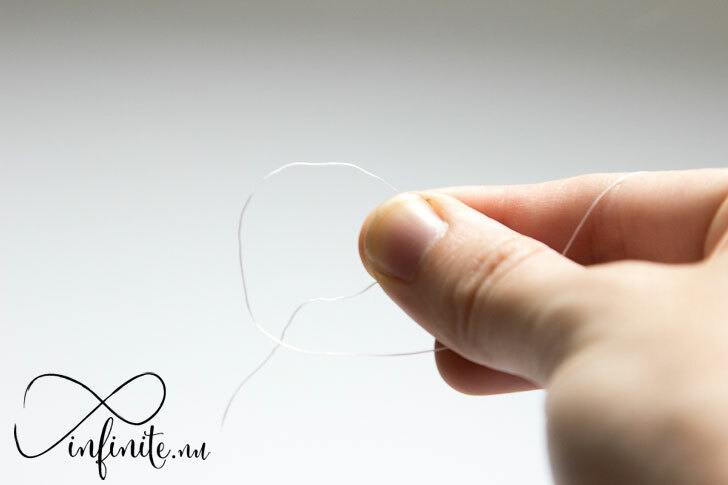 Carefully push the original loop over your new loop, off the edge of the hook. Then push the loop, and bead, over this piece. Pull your new loop tight. Push up the next bead and repeat. Push up your next bead and repeat until you have the number of beads required for your pattern. 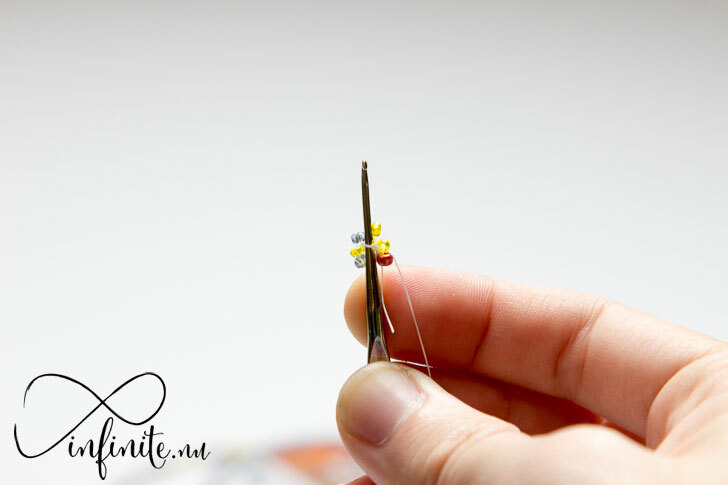 Depending on your pattern, continue these steps until you have the number of beads to build your base. For the double spiral, you’ll want a six-bead base. 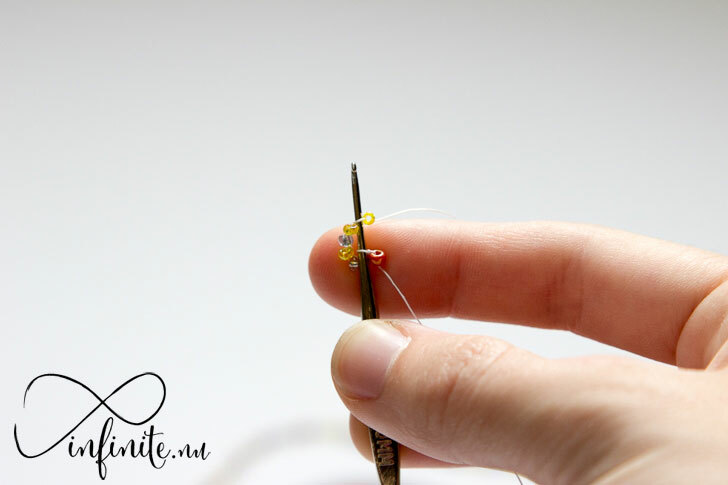 To begin crocheting your beads together, push your hook between the thread and the bead. Now turn your attention back to the first bead. 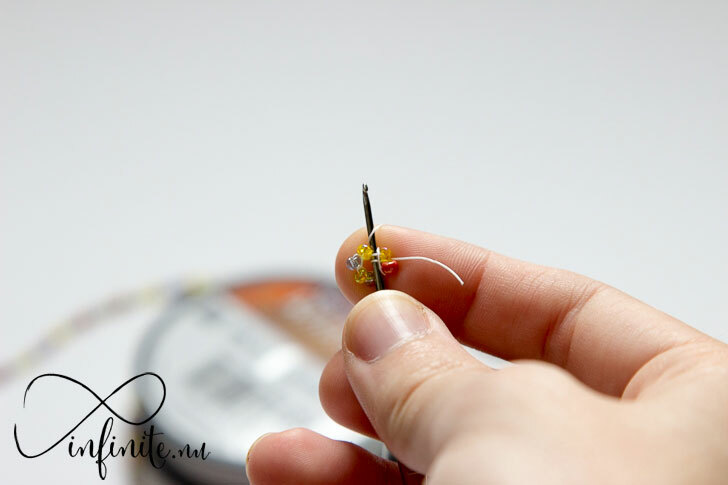 Push your hook between the thread and the bead, then ensure your bead is on the right side of the hook. 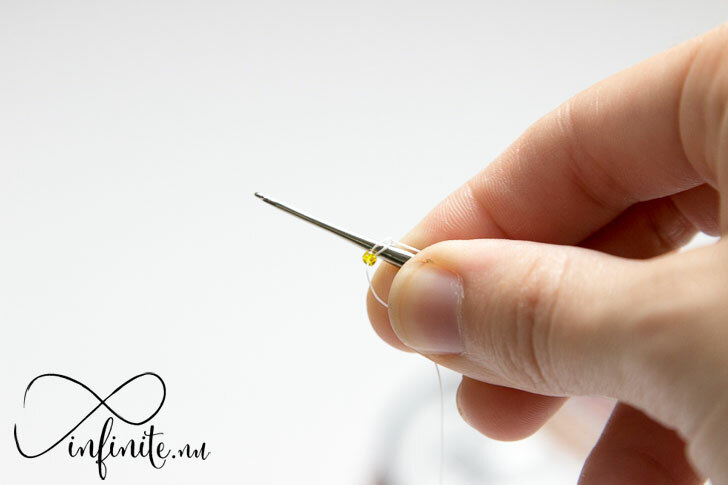 Making sure your first bead is to the right of your hook, wrap the working end of your thread over that bead and around the hook. This part is really important, and if you mess it up you’ll quickly realize your pattern isn’t turning out as expected. 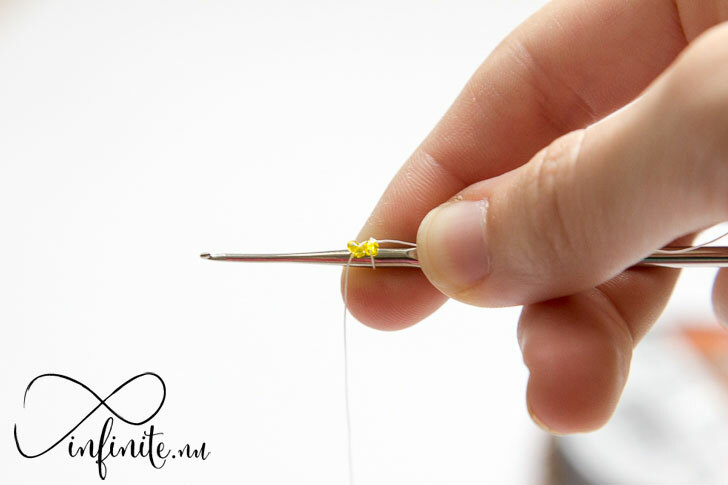 Take the working end of your thread and wrap it over your bead, then behind and around your hook. Pull your new loop through the two previous loops: the thread and bead, as well as the loop from the last bead. Catch this loop and pull it through the two already on your hook. 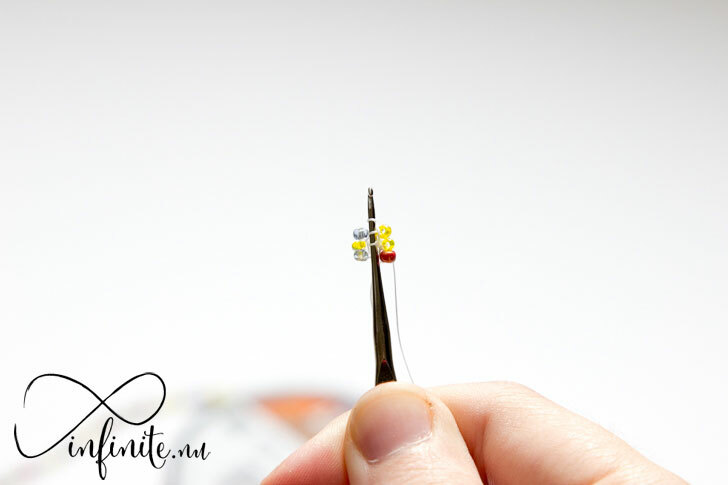 Push your next bead to the right of the hook and repeat!